The image above is not an exoplanet or our Earth’s moon viewed from some haystack. It is a photo of an exciting macrocycle which has, as you can see, crystallized. The crystals emerged as a result of a painful process that involved me setting up 1056 experiments. What you see is an expanded view of our typical 3mm-in-diameter well. The most frustrating thing is that these crystals, albeit needle-like and imperfect, vanished within 24 hours. It is interesting that the crystals formed fast (kinetics were favorable), but eventually disappeared due to their instability. Fortunately, we do have the Le Chatelier principle in our disposal and my next steps will be to repeat the experiment and preclude the reverse from happening. Since this is a vapour diffusion-type method (with water ruling the gas phase), I will need to carefully play tricks with the other reservoir. This is a very precious molecule, though. All 0.02mgs of it. Stay tuned. 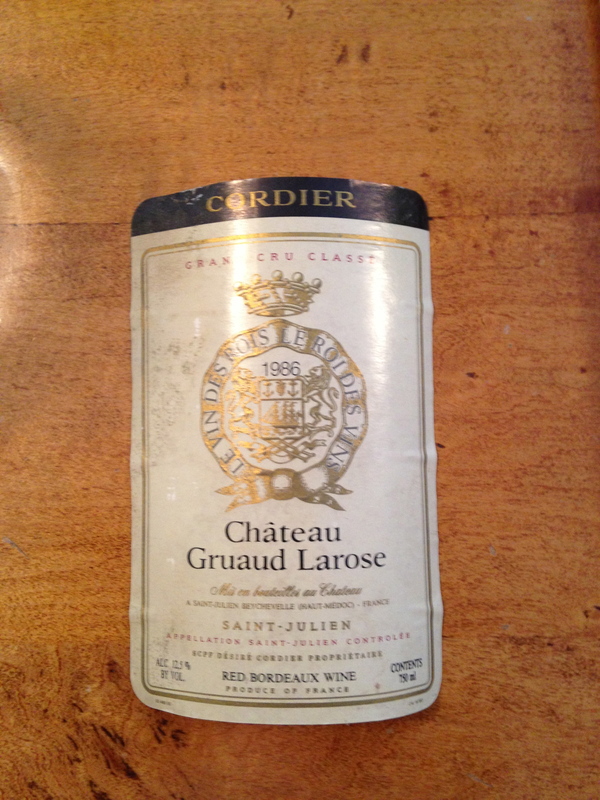 Here is a lovely bottle of wine I had not long ago together with my good friend and colleague Mark Lautens. The bottle is from 1986 and has waited for us in Mark’s impressive wine cellar. I was not even an undergrad at that time! Gorbachev was still in power, I lived in the Soviet Union, and my generation had no clue what awaited us in about 4 years. I knew I wanted to be a chemistry teacher but I was not really sure I would get into the University. 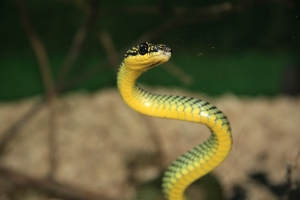 Speaking of Mark Lautens – here is a really cool paper from his lab from a while back. The reason this work is special for me is that it deals with amphoteric reactivity. In this particular case, Stéphane Ouellet (one of Mark’s PhD students at the time) showed how vinyl epoxides behave as amphoteric reagents. I love the tautomerization event that creates the nucleophile capable of aldol chemistry! I feel that ever since I started my position here in Toronto in 1998, we have consistently encountered more or less the same core challenge (despite covering a wide palette of research areas). I refer to our never-ending pursuit of molecules we a priori attribute some value to. 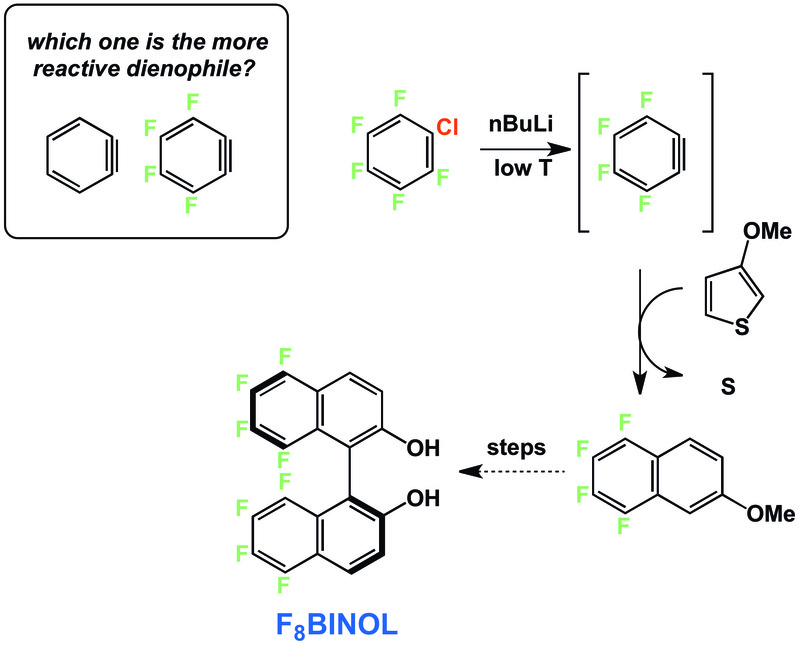 It all started with our interest in fluorinated BINOLs, which were initially really hard to make, but then my students mastered this class of compounds and developed some really nice applications. I also recall how we started with aziridines. It was Shadi Dalili (now teaching at UT Scarborough), who started working with cyclohexene imine. Iain Watson joined the project shortly thereafter and really taught us how to handle these sorts of material. Nowadays we deal with macrocycles, which are really tough both synthetically and from the standpoint of NMR characterization. But we are learning and are making progress. Still, it is always one kind of central molecule (or scaffold) we get transfixed by and put a ton of effort before learning how to deal with it. I tip my hat off to my students who keep passing this torch of hard-target search for things that are tough to make. You see – we first wondered about the relative reactivity of benzyne vs tetrafluorobenzyne. The latter turned out to be way more stable and, consequently, less reactive. But it has been useful for us. 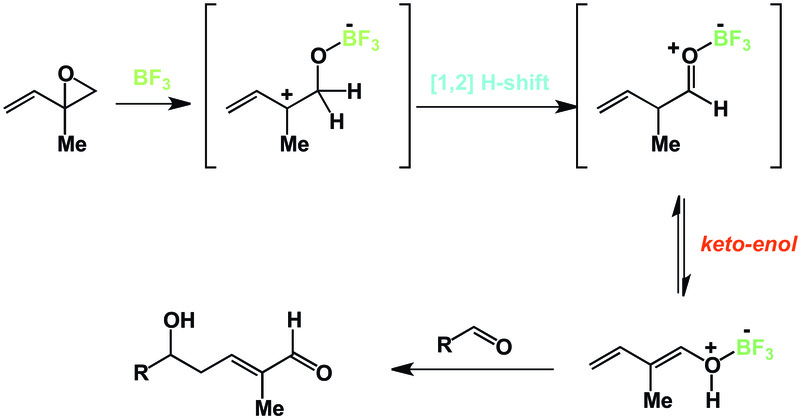 We employed it in order to run Diels-Alder reactions with 3-methoxythiophene, which then led us to fluorinated BINOLs. I still see my man Subramanian Pandiaraju (my first PDF), who spearheaded this effort (he is now with Ontario Institute of Cancer Research) and we reminisce of the old days. Fundamental reactivity has always been central to us. At the end of the day, what we really care about is how molecules react with each other. 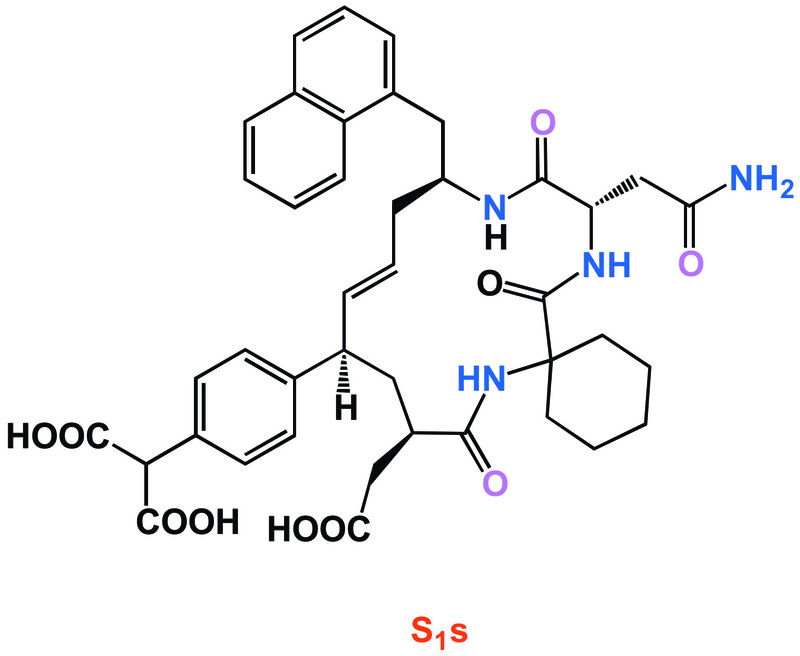 Here is a representative molecule developed at Anacor and its genesis, the benzoboroxazole nucleus. The pinkish tetrahedral atom you see in the crystal structure is boron, caught in the act of inhibiting bacterial leucyl-tRNA synthetase. The formation of this adduct with the sugar diol accounts for the observed activity of these molecules against Gram-negative bacteria. 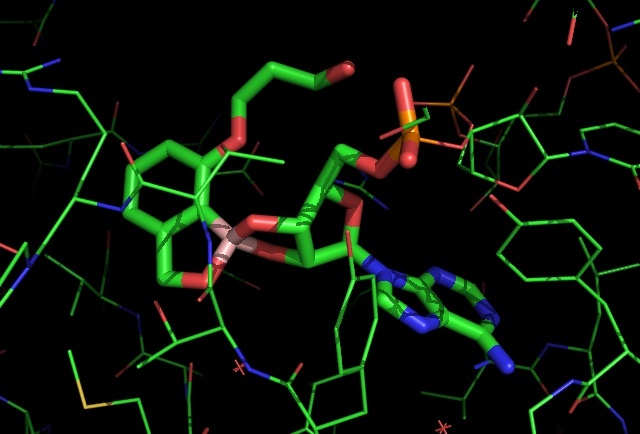 We are keen to collaborate with Anacor and apply the novel heterocycles I blogged about towards structure – driven antibacterial discovery. Adam and Victoria (she is about to start officially in a couple of weeks, very excited about this!) 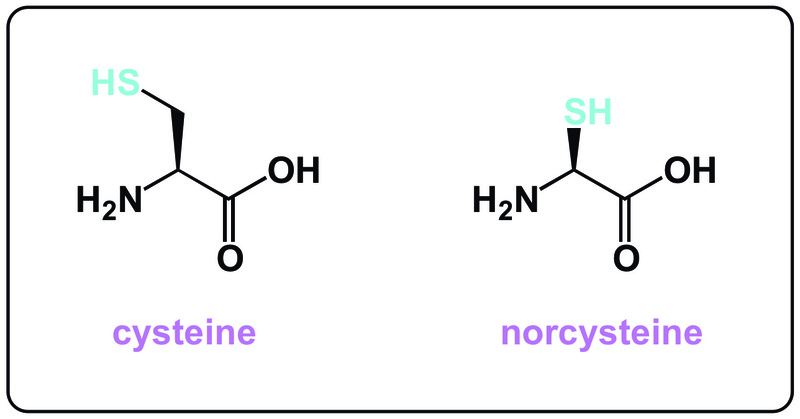 have been working on some novel boron heterocycles. I think people will like them.